Girls Navy/White Short Sleeved Dress 100% Polyester .. Girls 4 Piece, Pink Checked Summer Dress, with Cross over straps and Small Bow detail to the b.. Pretty Originals Girls Floral Shorts & Shirt Set, With Matching Headband ..
Navy short sleeved blouse, with printed Bow shorts .. 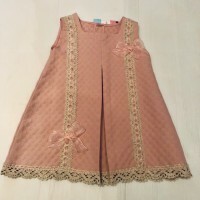 Girls Rose Pink/ Cream Peterpan Collar Dress, With Button detail to the front, High waist with Lace .. Girls Silver/grey Velour Lounge set with Ruffles to each arm with small white pearl detail, tro.. Pretty Originals Cream long sleeved shirt, Navy Blue lace detail to the cuffs, neck a.. Girls Pretty Originals Long Sleeved Smock Cream/Blue Blouse and Shorts set with matching Headba.. Girls Green/Navy Tartan Sleevless Dress .. Girls Knit Top And Trousers Set, Top has White Peter Pan Collar And trimed with white around the wai.. Girls White Short Sleeved Frill Neck Top and Pink with White Polka Dot Jam Pants with.. Girls White Cotton Vest Dress, with the Green/Red Bow to the front, with small pleates to the hem. (..
Jade green/White Bow Dress, Knickers & bonnett set ..
Juliana Vintage Pink Sleevless Bow Dress, With Bow Detail To The Front, & Beige Lace Trim, .. 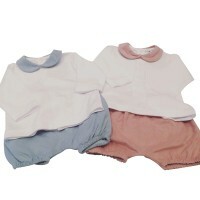 Duck egg Ruffle top & short leggins set ..
Ruffle Shorts with elasticated .. Lemon loves Lime, White Frill Romper suit, .. 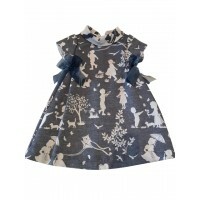 Girls Navy Blue Long Sleeved Dress With Cream Bow detail to the front, .. 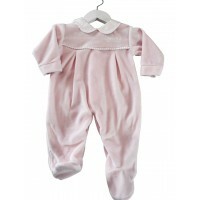 Lemon Loves Lime Ruffle Cardigan with Long sleeves ..
Baby pink ruffle dress,With sequined bow detail .. Girls long sleeved, Dress with layered Ruffle detail to the skirt, 100% Pima Cotton &nb.. Lemon loves Lime Lond Sleeved Top With Ruffle collar detail and Button fastening. (Trousers &&nb.. Girls Aqua, All in one, Sleevless, Ruffle leg Trousers suit with ruffle detail neck line, poppe.. 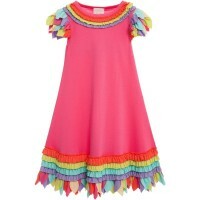 Pink petal short sleeved round neck, frill dress. .. Pink Ruffle top & Short leggings set ..
Short sleeved Dress, With Ruffle skirt detail. .. Lemon Loves Lime Ruffle Trousers with Elasticated waist .. Girls LOL Doll White T Shirt Top, Short Sleeved with Blinged Lol Doll image in Gold and Pink.&.. Girls Mint Green & White Stripped All in One, With Bow detail to the Sides, Ruffle Ribbon Trim&n..
Mint Green & White Stripped Dress with Side Bows, and Zip Fastening at the back ..
Burgundy half knitted dress & knickers ..
Frill Neck Body Suit, With Button Fastening, Long sleeved, Avaliable in White or Pink .. Girls Navy Pin Strip Short Sleeved Crop Top and Skirt Set with Pearl Detail to the skirt (Sizes.. Pink peter pan coller, bow babygrow ..
Baby Girls Pink Knitted Set, Trimed with Beige and Ribbon detail to the shoulders of the T.. Pink Pram Suit, With Bunny Teddy to the front, Trimmed with Pink Broder Anglais to the front, Popper..
pink velour, flower trimmed baby grow .. Pink knitted star top and shorts .. Pink Sister Baby grow ..
pink velour, peter pan coller baby grow .. Pink bolero knited cardigan ..
Baby Pink Shorts with Navy strip and Pom Pom detail,with a Short Sleeved Vest Top with Bow detail to.. Girls White knitted long Sleeved cardigan, with Flower detail to the neck line, button fastenin.. Girls Pretty Originals 2 Piece Knit Set, Pink Long Sleeved Top with Teddy detail to the front,&.. Pretty Originals, 2 piece Short Sleeved White Blouse with small pink polka dots, and H ​​Bar ca.. Pretty Originals Baby Girls Fuchsia/White All in one suit, With a peterpan collar an..
Baby blue Quilted coat with bow details pockets ..
Baby Girls, Lilac 2 piece Dress and knicker set, Dress detailed with lace and floral trim. .. Cream Blouse with Peter Pan Coller, pink ribbon detail to the front & Button Fastening.. Cream Blouse & Pink Shorts With matching headband ..
Blue Print Turtle Neck Dress .. Girls Patterned Sleevless Dress with Lilac Bows to the sides, and Zip fastening to the bac..
2 peice Cream Shirt and Dog tooth print, H bar Skort, (Shorts with a skirt front) .. 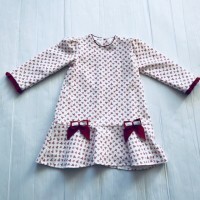 Girls Duck Egg, Patterned material, Smocked Neckline, And Bow detail to the sides, and Bloomer Knick..
Avaliable in Baby Pink Or Baby Blue Dress with Peter Pan Collar, with Trim Lace & ..
Red/Cream Girls Dress By Pretty Originals, Long Sleeved, with a Round Neck Coller, Button Fastening .. Girls Baby Blue flower print Dress with Bow detail to the front and lace trim around the arm ho.. Girls Bloomer style White Shorts, with lace trim, and a Bow detail to the front,..